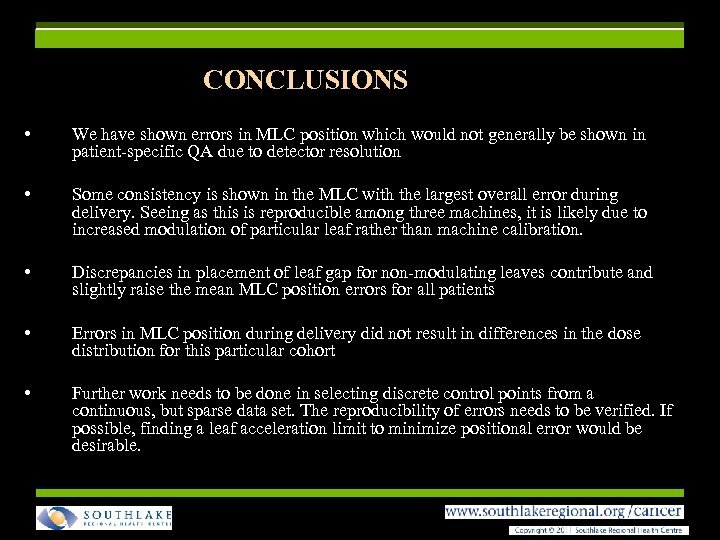 CONCLUSIONS • We have shown errors in MLC position which would not generally be shown in patient-specific QA due to detector resolution • Some consistency is shown in the MLC with the largest overall error during delivery. 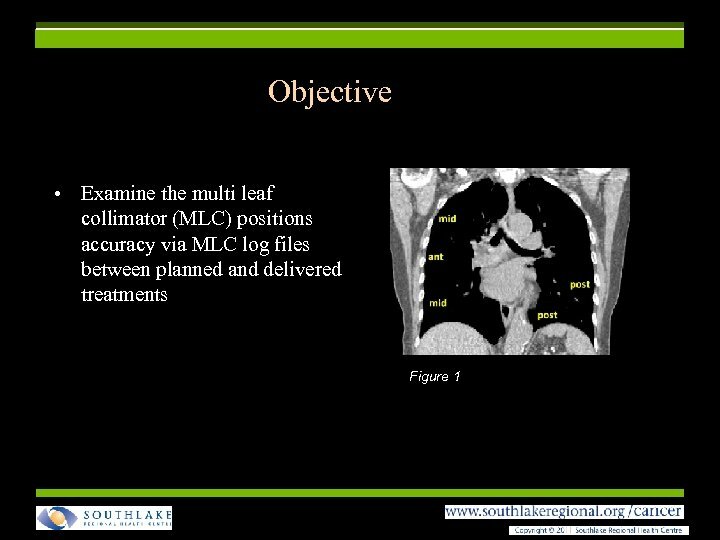 Seeing as this is reproducible among three machines, it is likely due to increased modulation of particular leaf rather than machine calibration. 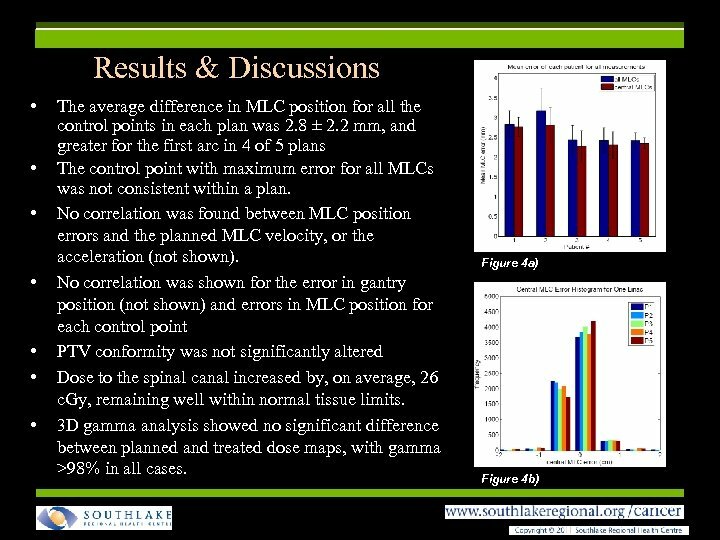 • Discrepancies in placement of leaf gap for non-modulating leaves contribute and slightly raise the mean MLC position errors for all patients • Errors in MLC position during delivery did not result in differences in the dose distribution for this particular cohort • Further work needs to be done in selecting discrete control points from a continuous, but sparse data set. 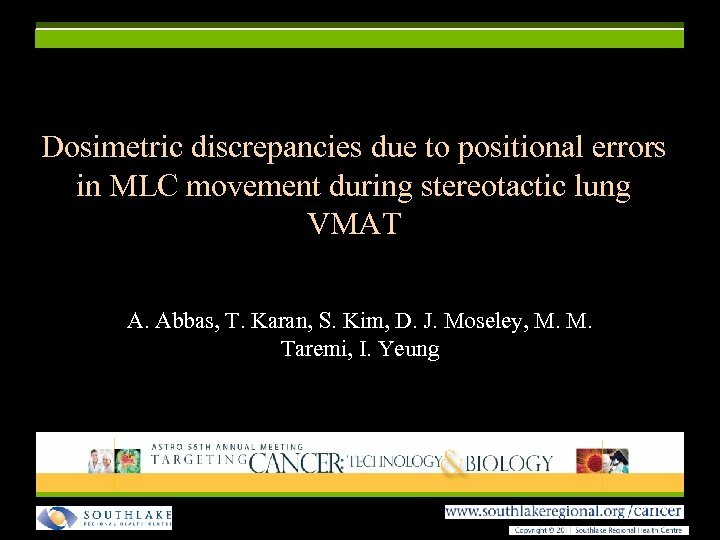 The reproducibility of errors needs to be verified. 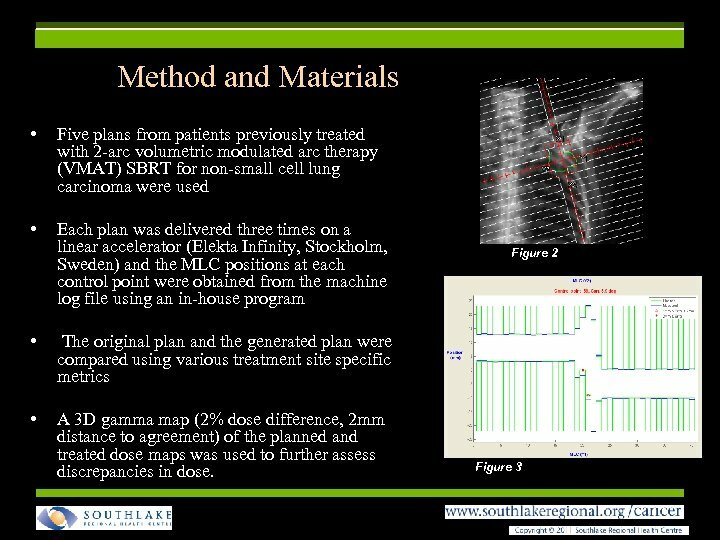 If possible, finding a leaf acceleration limit to minimize positional error would be desirable.